BOSTON, SEPT. 13, 2018....A day after one state agency announced health care cost growth had been limited to 1.6 percent in 2017, another state authority on Thursday approved a rate schedule calling for an average 4.7 percent increase in premiums to be paid in 2019 by residents who get health or dental insurance through the state's Health Connector. For the Connector's unsubsidized plans, the average premium hikes for next year vary significantly by carrier. 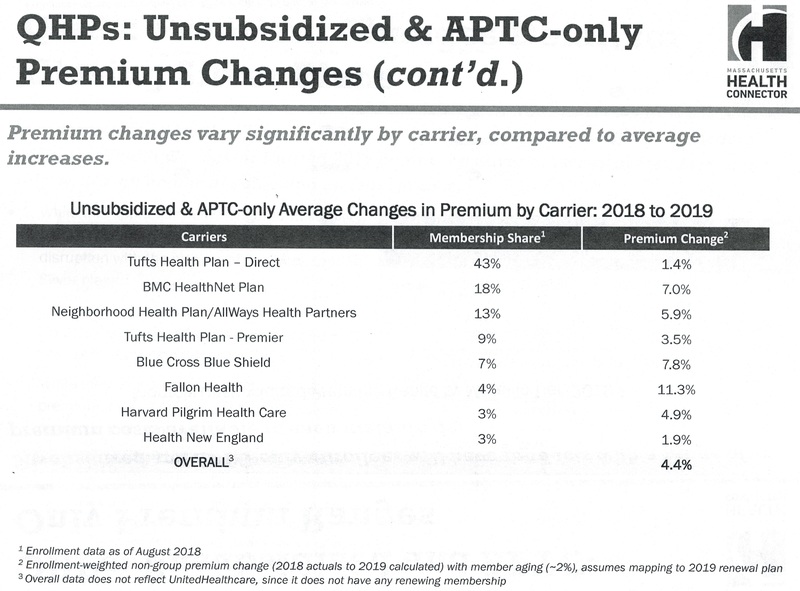 Tufts Health Plan - Direct, which represents the largest swath of Health Connector members at 43 percent, has the lowest average increase, at 1.4 percent.